The job of a professional copy editor is to kill your darlings in the most humane way possible. Methods of death include correcting or adjusting less than perfect choices in grammar, punctuation, style and usage, and spelling. This calamitous onslaught can extend even further by examining plot, characterisation, setting and more. It can mean a trained eye and a trained gut ruthlessly slashing and burning your precious words and ripping them from your passionate breast. An editor is not a cruel literary megalomaniac. Far from it. An editor is your friend. 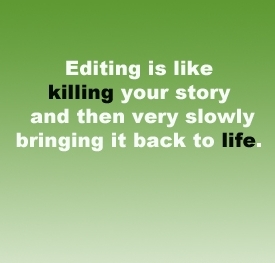 Editing is all about making your work the best that it can be. In a line edit the manuscript is thoroughly checked for spelling, grammar, punctuation, style and flow. 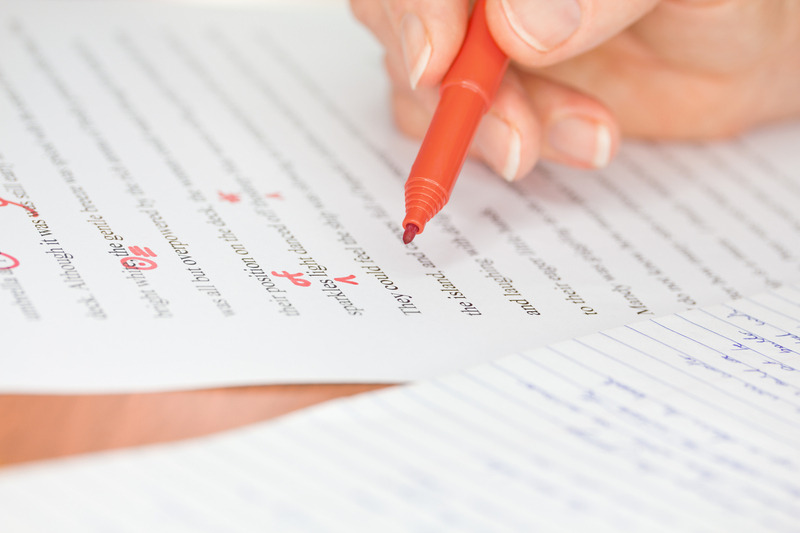 This does not take into account inconsistencies in the structure of your manuscript. · Suitability of text for your chosen audience. Has the language been pitched at the right level? Do any terms or abbreviations need explanation? · Extent. Is the work too long/short? · Structure and Content. Is anything missing or redundant? Are headings and chapter titles in the correct order. · Sentence and paragraph length. This is dependent on the audience and whether the copy will be read on a computer or in print. · Consistency. The manuscript is checked to make sure characters’ names, settings, timelines or historical facts are correct. · Style. This is to make sure that metaphors and similies are used carefully, cliches avoided, adverbs and adjectives used sparsely, and that the prose style flows.